The right not to be tortured. In the first case, Manning was incarcerated for nearly three years prior to his trial—hardly ‘speedy’ under any definition of that term. In the second, ten months of those three years was served under solitary confinement, widely considered to be a form of torture and to absolutely no purpose other than to break the morale of the defendant. Why no trial ‘rapidly and without delay,’ the very definition of speedy? The military is silent on that, although they had all evidence on hand to try Manning from the very beginning. The fair-minded might conclude that three years behind bars without trial, ten of them in solitary confinement, served no possible purpose other than to send a message to others who might have such courage. We must further assume (without such a trial) that Manning’s actions were motivated by a humanitarian motive, bringing to light wrongs that he observed and the Army failed to either punish or acknowledge. What other conclusion can be drawn without evidence presented? Thus the shroud of guilt unreasonably hung from this young man’s shoulders all those years. Interestingly, while Manning faces imprisonment for up to 136 years for his disclosures, those who acted lawlessly in each of the murderous events either were either let off, or served token time before being released. The military has chosen to ignore the events and drown the messenger. And what about the messenger? Military law requires that those witnessing breaches of conduct report those events to higher authority. The military already knew of the crimes and chose not to act. The videos tell the tale of gunners high-fiving and joking about cutting down anything they chose, essentially whatever moved (including, in one incident, a Reuters correspondent and his camera-man). Manning could hardly report an event that was already known. And to what possible purpose? So he chose, at great personal risk, to go public with what the military had under wraps. Not for glory—there is none, not for fame—whistleblowers are far more likely to suffer lifelong job loss and future unemployment than fame. We must assume, as he has stated repeatedly, that conscience was his guide. Consider the forces allied against him: An entire military chain-of-command that lied, tortured and fabricated its way through two of the longest, most useless, expensive, deadly and unwinnable wars in the nation’s history. Nearly 7,000 dead U.S. service members and another 50,000 wounded and all but abandoned by the Veteran’s Administration. Hundreds of thousands of civilian casualties, many of them due to out-of-control military policies, the nation all but asleep. Asleep because the returning dead were un-acknowledged and dishonored by a ‘blackout’ on returning caskets and burials. Asleep because of propaganda that we were making headway towards winning the unwinnable. Reminder: The Commander in Chief of all U.S. Armed Forces is always the sitting President of the United States. 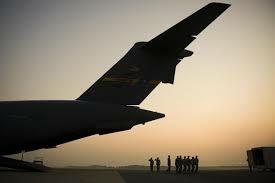 “For nearly two decades, Pentagon officials insisted there was no way to allow news coverage of returning American war dead at Dover Air Force Base in Delaware without intruding on the privacy of families or infringing on the sanctity of the mission” (American Journalism Review). The ‘privacy’ of families caused them to mourn their dead without the associated mourning of the nation. The ‘sanctity of the mission?’ Sanctity is defined as: The quality of being holy. Which mission and whose mission carried the sanctity of God to these unparalleled extents? Thus a 25 year old gay soldier from Crescent, Oklahoma, couldn’t choke down what the military was doing and a nation in ignorance, so he blew the only whistle available to him. America is better off for that, as are the tens of thousands of bereaved families who either buried their children in silence or still struggle with the aftermath of those who came home wounded for life. There is more than one way to give your life for your country. 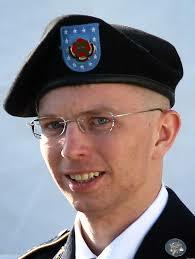 Bradley Manning has given his in a way crushingly meaningful to a twenty-five year old. It’s likely the nation will shrug and move on to the next news-cycle. For the next soon-to-be-disclosed decades, awaiting the Court’s Martial sentencing, Bradley Manning’s personal ‘news cycle’ will be a military brig. Who will thank him then? Who will remember? Who will give a damn on a footnote to history?